Look what Santa got me for Christmas! 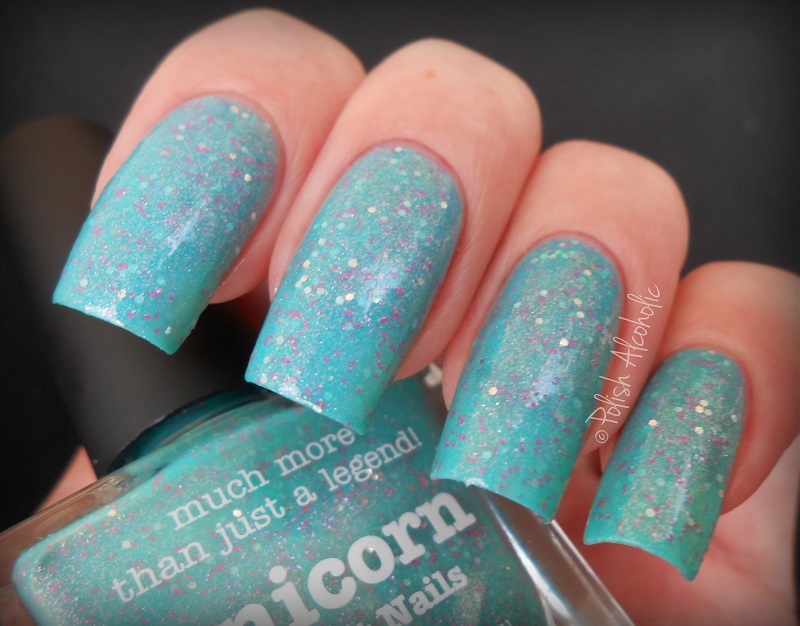 Unicorn, a collab shade by Allie a.k.a. Brit Nails and piCture pOlish. Gotta love everything ‘unicorn’ 😉 Thanks Santa, I love this! What a fantastic color combo, right?! This is three thin coats plus top coat. Did you get any nail polish(es) from Santa this year? This entry was posted in piCture pOlish and tagged brit nails, picture polish, picture polish unicorn, review, swatch, swatches, unicorn by Polish Alcoholic. Bookmark the permalink. This polish isn’t one I would pick up, but it looks great on you!